“We’re concerned about details, like the colorful orange and green divider,” Stan says. The only wall in the shared living space, the divider, was constructed with 1x4s and multicolor pegboards to add definition to the open floor plan. 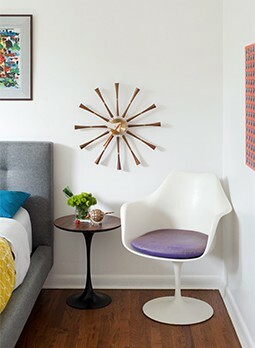 “It’s little details that make a world of difference,” and indeed, this small detail adds a truly mid mod vibe to the entrance of the home, alongside the hand carved door, a Craigslist steal! 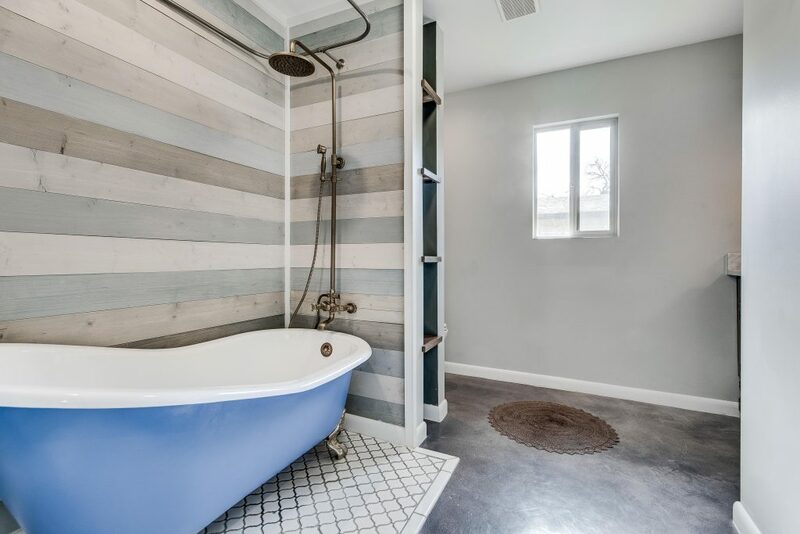 The blue cast iron tub stars in the guest bath, offset by washed plank walls. 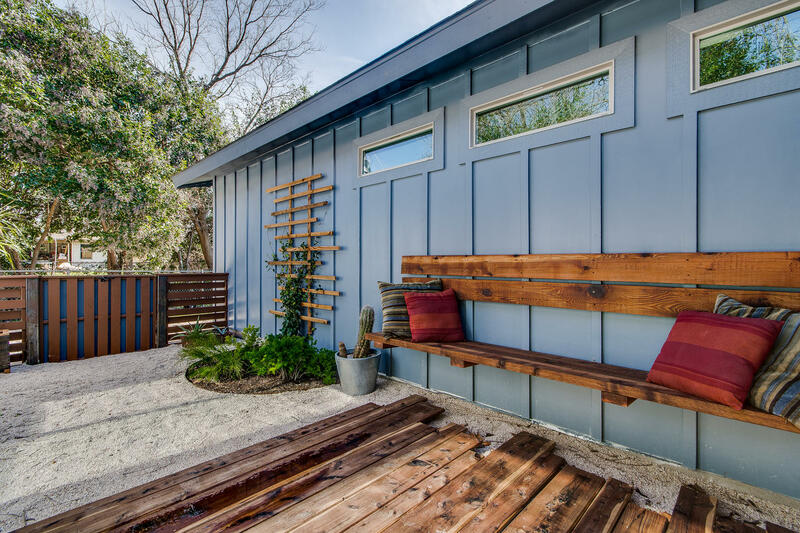 Against the blue exterior, a custom cedar bench is installed for leisure above the floating aromatic cedar deck. 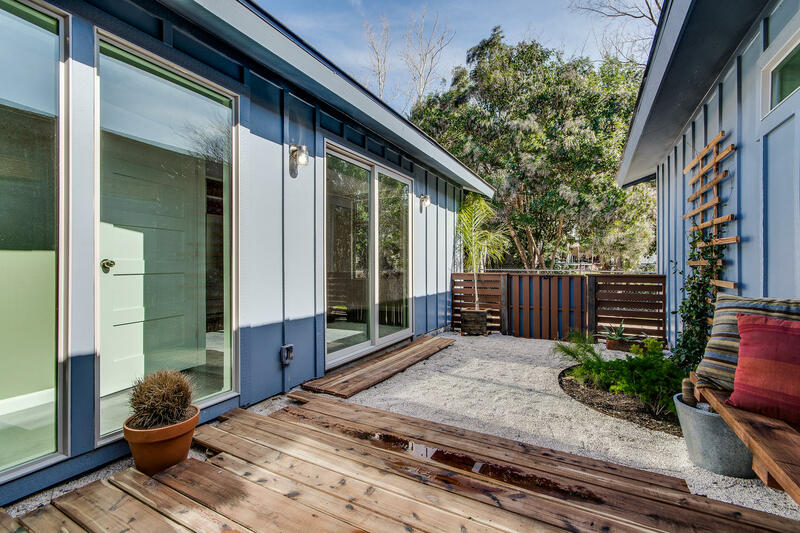 The courtyard is connected to the kitchen for easy indoor-outdoor living.